Whether you’re a maths student or a tutor, there are many fantastic resources online to help you. Best of all, they’re mostly free! People create these resources out of a love for maths and a genuine desire to help others. If you’re a student, then you should find these resources a really helpful boost to your maths revision at GCSE or A-level. If you’re a tutor or a teacher, you should find these resources helpful for your lessons, and you need to get your students using them ASAP! Here are the resources, in no particular order. Alright, so the idea of a ‘maths homework generator’ might send a chill down your spine, but let’s be honest, doing worked examples is by far the best way of revising for maths exams. By the time of writing this, I haven’t found any other website that generates free maths homework for any topic, so you need to check it out if you want to try out more maths problems for your revision. The main feature of Mathway though is the live equation editor and solver. Using the symbols, it uses LaTeX (a maths formatting language) and understands the input and recognises what type of problem it is. If it’s a quadratic equation, it will recognise that and will offer to try to solve it for you. Really useful! Mathway also has a premium option where if you pay, you can get explanations behind these solutions. Professor Paul Dawkins is a professor of mathematics at Lamar University in Texas, USA, and has constructed a massive resource of advanced maths revision. I personally used it all the time during my maths degree! It really is one of the best advanced maths revision resources available. It is mostly used by university students, but it does have plenty of study materials appropriate for maths at A-level. He really starts from the basics and moves forward. 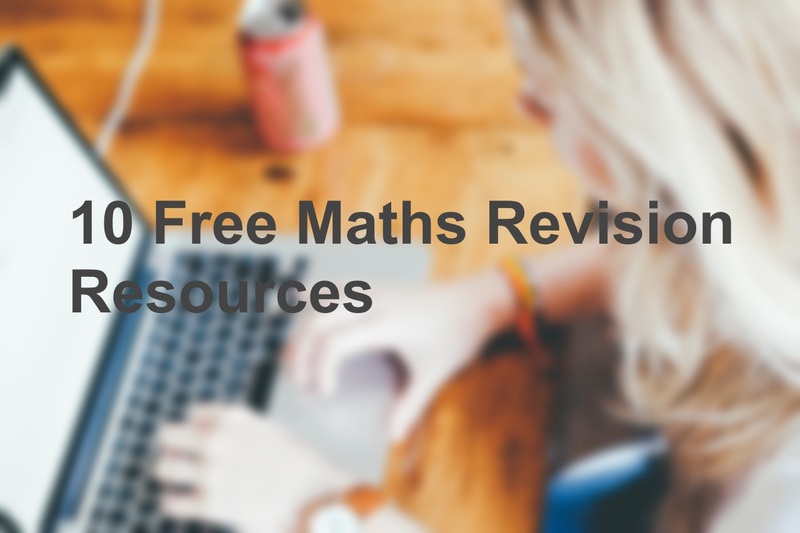 He also has a great list of links to other maths revision resources, both free and premium, which I recommend you go and check out. If your plan is to study maths or a STEM subject at university, and you want a taster of university maths, I highly recommend you check out the more advanced sections. Gorkem Cavli is a fellow maths tutor in London and has a comprehensive list of all maths past papers at GCSE, A-level, and more. As a tutor I’m constantly using his maths past paper page to download PDFs of past papers. It’s got all the exam boards and nearly all the modules. If you’re a student them I’m sure you’ll find it invaluable for your revision too. I get all my students to use it! It’s really handy to have a go-to page that you can always rely on to download maths past papers from. I tried to reach out to him via email but he hasn’t responded yet. Oh well! Wolfram Alpha is a website that can solve any maths problem, and provide a clear picture on any equation. It’s powered by a supercomputer that can recognise what you type in and provide a solution. It’s almost like magic – most students’ jaws drop when they see it work for the first time. Go ahead and type in x^2 + 2x + 1 and it’ll recognise this as a quadratic equation, solving it for x, plotting it on a graph, and more advanced stuff too. My favourite use for it is to quickly plot a graph of a function – it can do this in 2D and 3D! It’s not just for maths though – type in ‘population of the UK’ and it’ll show you details population figures and statistics! It’s an amazing website. I don’t tend to take on many GCSE maths students, but I tend to find this resource useful. His past paper page isn’t anywhere near as comprehensive as Physics and Maths Tutor’s in my opinion, but I think the website is clearly laid out, and the resources are completely free. His GCSE maths grade passports are a bit of fun and really useful for checking up on what grade you’re likely to get with your current knowledge. This can be a bit scary and a good motivational tool for your GCSE maths revision! As a bonus for teachers, his new site Diagnostic Questions might prove useful for your teaching efforts. It’s not free but it looks like a useful resource for sharing notes and lesson and homework plans with other maths teachers. Stuart Sidders has done a tremendous job in creating an incredible 3,600 videos. These are of him doing maths lessons from basic AS-level topics to A2 further maths, and worked examples. The A-level past paper worked example videos are the best part by far. On every single question in past papers, he will record a video of him solving it, and link to it straight on the page. It really is one of the best resources out there. If you’re not already using Exam Solutions’ past paper worked example videos, you definitely should be! Once again, I don’t tend to take on many GCSE maths students, but I’ve been impressed by this free resource. Whoever runs the website (I think it’s Andrew Harmsworth) writes in an informal way with very clearly-written notes and explanations. All the core GCSE maths topics are on there, so it’s a useful addition to your GCSE maths revision. As an aside, “GCSE.com” is a cool domain name! This is already quite a well-known one. The BBC have done a great job keeping a comprehensive set of resources for maths (and many other GCSE subjects) up-to-date with new exam specifications in 2015. Not only do they fill the resources with lots of helpful examples, but I think the diagrams and visual examples are fantastic too. They’ve also started uploading some decent videos with the revision pages, and link out to other things like BBC podcasts about maths. I love visual examples of maths, and I sometimes turn to the Bitesize website to help explain a topic! A bit like Yahoo! Answers but for maths, OpenStudy is a great website that I’ve recently discovered. You can get your questions seen by thousands of users at the touch of a button, and get immediate help on how to solve your question. It has quite a big range of level too – you can get help on basic GCSE core topics all the way up to A-level maths and degree level maths. The users there are knowledgeable and helpful. The more prolific users tend to hang around the website all day, so you can be sure of getting help with most maths problems from your revision. Links are public and saved, so they encourage you to search the site to see if someone has asked the same question as you already. TexPaste is a “pastebin”, which is a type of website that lets you write stuff and save it for later. Huy Nguyen created TexPaste to allow you to write maths documents, and then save them for later and print them out for your revision. I think tools like this are highly under-utilised by schools. Just think about how useful this is. You can write your maths notes, with maths equations and everything, and then share them with other people and print them out. If you’re a maths tutor or a teacher, start using tools like this right away! It’s a fantastic addition to hand-writing notes, because with TexPaste and other tools like it, you can make the notes really neat and clear. They can be much easier to read than human handwriting. It’s also really useful for learning the LaTeX language too. If you’re planning on doing a degree in maths or another STEM subject, you’ll be required to write your dissertation and any other papers in LaTeX, so this is good pre-university practise. As a top tip for your UCAS university applications, they will be very impressed if you’ve taught yourself how to write LaTeX. It’s completely free too! You should definitely create an account and use this website whether you’re a student or a teacher. (Bonus) 11. Further Maths Tutor – My own website! Alright it’s a bit cheeky, but I’m also putting forward my own website. I feel really passionately about encouraging students to take up further maths at A-level, and so I made a website with study materials for further maths modules FP1, FP2, and FP3, for the Edexcel and OCR MEI exam boards. I worked really hard making these revision materials, and thoroughly enjoyed it. I hope you find them useful, and please share them as much as possible with your further maths friends!